So, that all-white puzzle was a piece of cake you say? How about completing one of world’s largest puzzles you can buy? This Ravensburger puzzle counts in at an overwhelming 40,320 puzzle pieces. With these you can put together a collage of all-time favorite Disney scenes. What is this 40,000 piece Disney puzzle? You’ll get a box weighing in at 43 pounds. The puzzle measures 22.5 ft. by 6.5 ft., so you better start reserving some space to lay it out in your home. 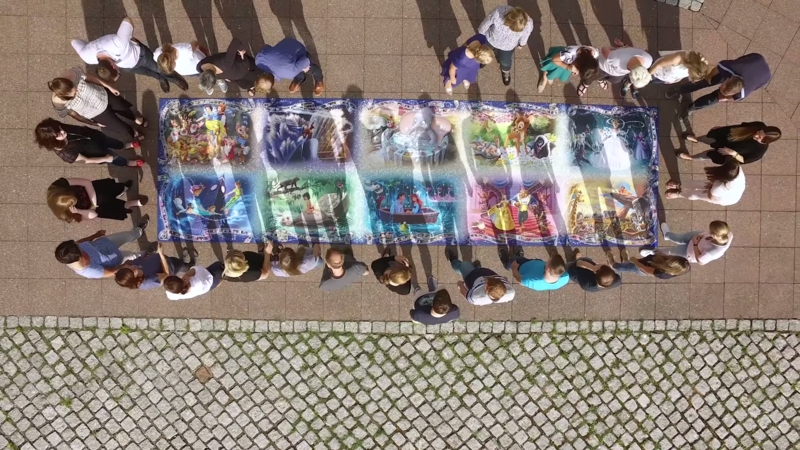 It holds the Guinness World Record for the largest commercially available puzzle in both pieces and size. The ten individual Disney scenes that make up this giant puzzle are packaged seperately (4,032 pieces each) so you can decide to put it together one puzzle at a time.